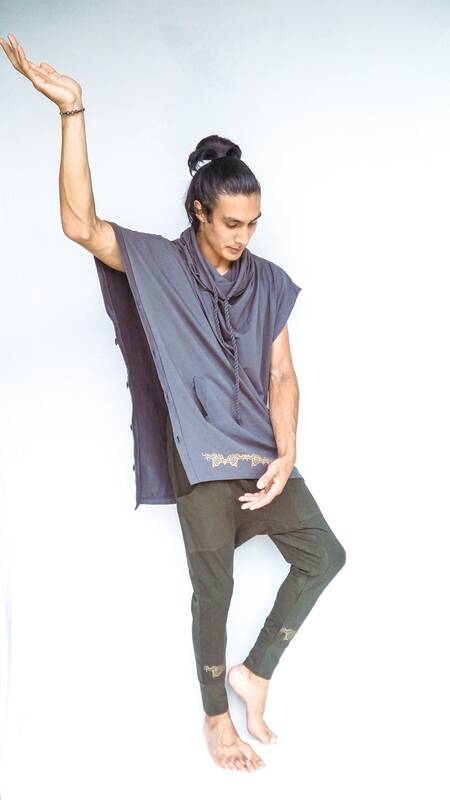 Tao Top offers the comfort and flexibility of a tank top, with the style of a Futuristic garment. 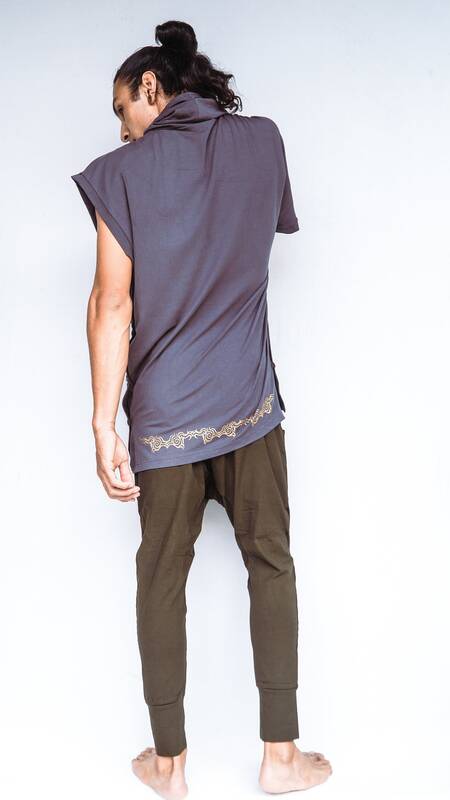 Designed for empowered men who are embodying the change. 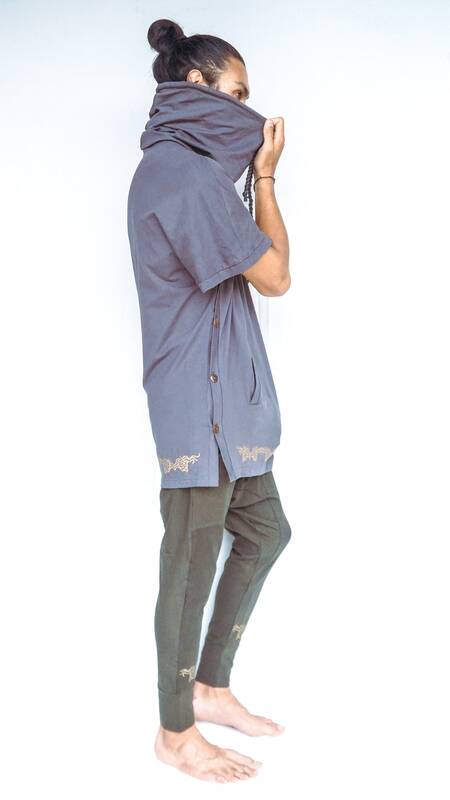 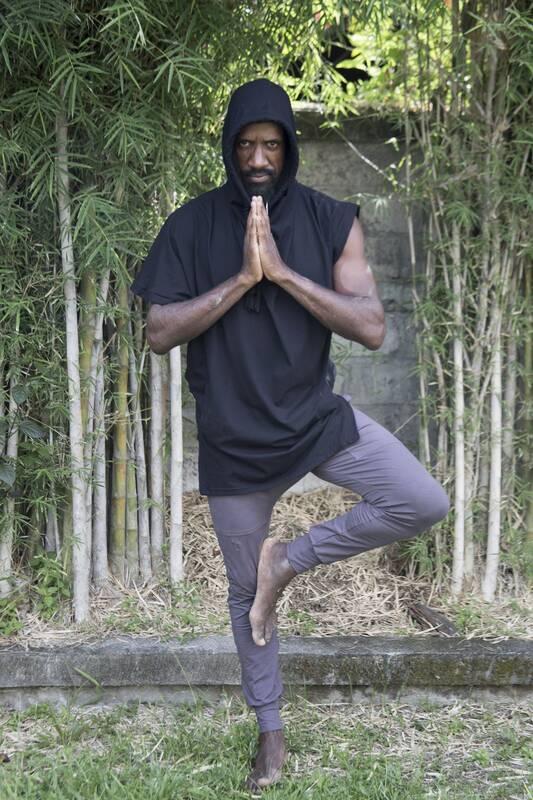 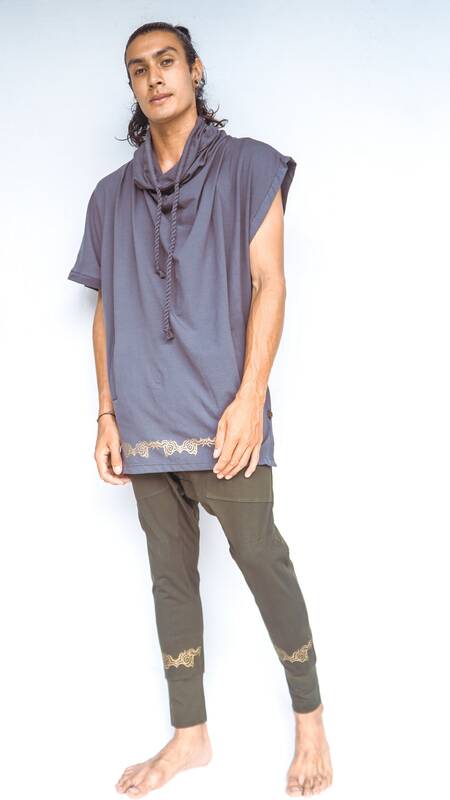 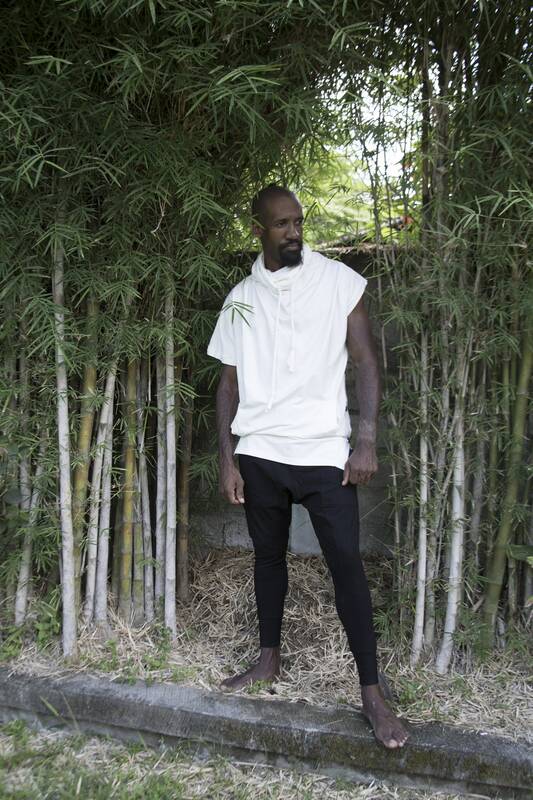 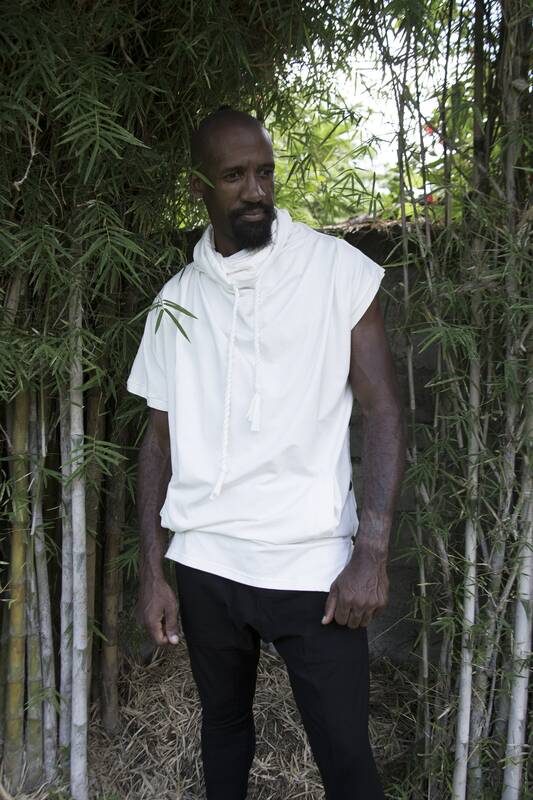 With thick rope strands laced through the extra tall collar, a sleeveless asymmetric cut and flexible bamboo fabric, this unique piece enables the Tao man to express his true inner essence.